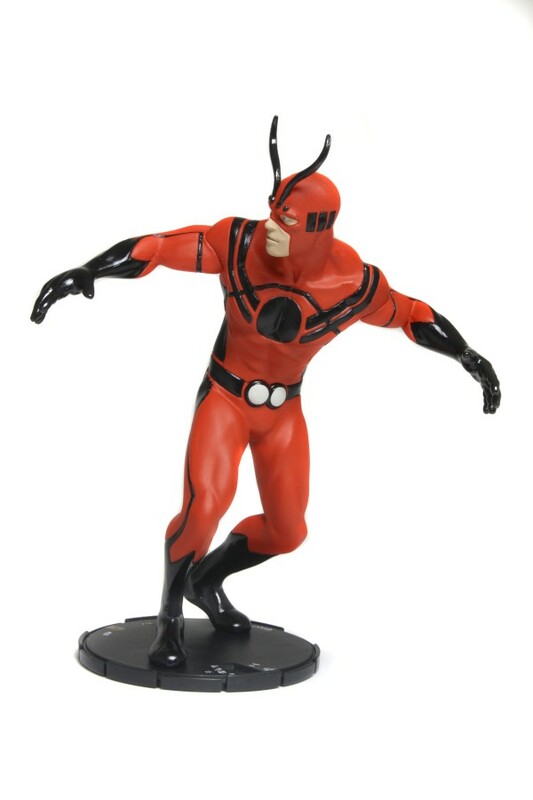 A Special Look at Our 2012 Convention-Exclusive Giant-Man HeroClix! You are here: NECAOnline.com » Blog » News And Announcements » NECA Does SDCC Pt. 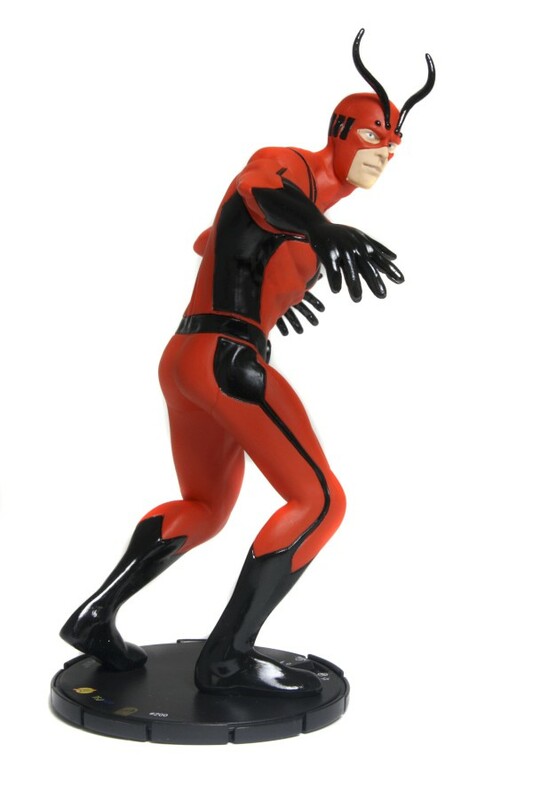 1: Giant-Man HeroClix Unveiled! Over the next few weeks, we’re going to be giving special sneak peaks out our 2012 convention exclusives, and we start today with the brand-spanking new 2012 Convention Exclusive Marvel HeroClix Giant-Man Super Booster! 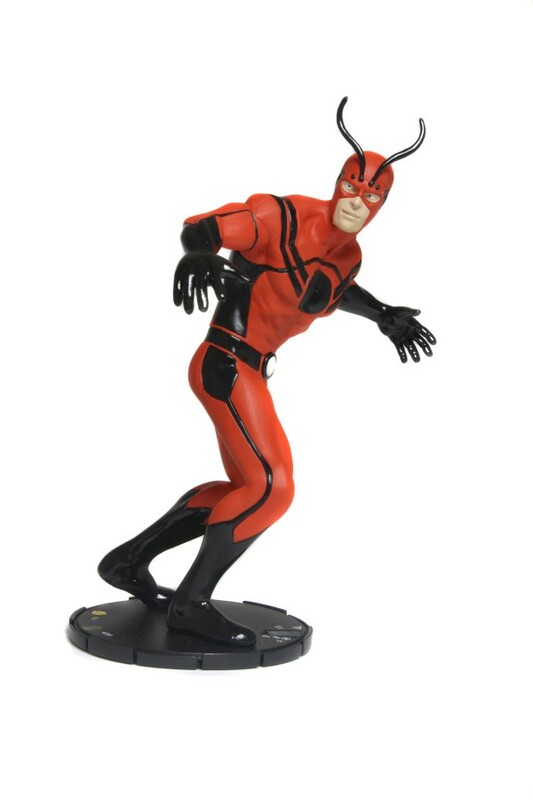 Priced at $39.99, Giant-Man also includes a proportionate Ant-Man HeroClix figure that’s invisible! No, really, like he’s not there. Set to the scale of Giant-Man, you can’t see Henry Pym when he shrinks all the way down to Ant-Man size. 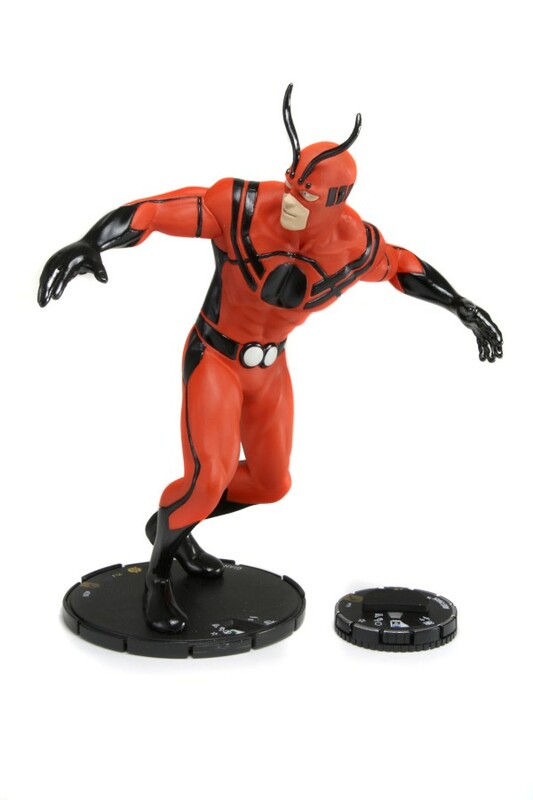 Also, when Marvel HeroClix first premiered way back in 2002, a similar Ant-Man was offered at conventions that year, so this Ant-Man makes a perfect bonus piece for Pym as Giant-Man. As you can see above, there’s a base with Ant-Man on it, and you’ll just have to take our word for it that he’s there. You can’t possibly imagine how hard it was to sculpt something so small that it’s invisible to the naked eye. Henry Pym AKA Giant-Man first appeared in Marvel’s Tales to Astonish #56 in 1964, having already made his debut as Ant-Man in issue #35 two years earlier. 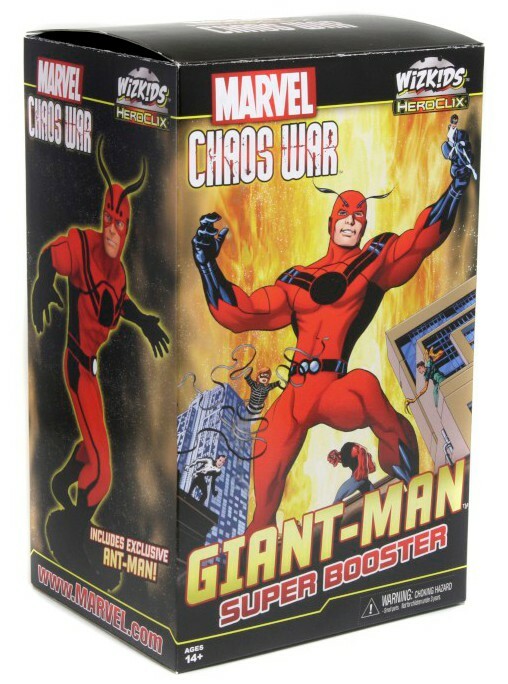 Rumors have been kicking around for a while now about a movie in the works, so we thought no better time to debut this Giant-Man Chaos War HeroClix! Like all of the figures in the Chaos War collection, Giant-Man is gorgeously detailed and accurate to the comics. He’ll be available at San Diego Comic Con and other upcoming 2012 conventions. For more on HeroClix, be sure to check out the Marvel Chaos War HeroClix collection, and keep it tuned to your favorite action figures wholesaler for other 2012 convention exclusives to come and all the best merchandise from your favorite games, movies, and more!